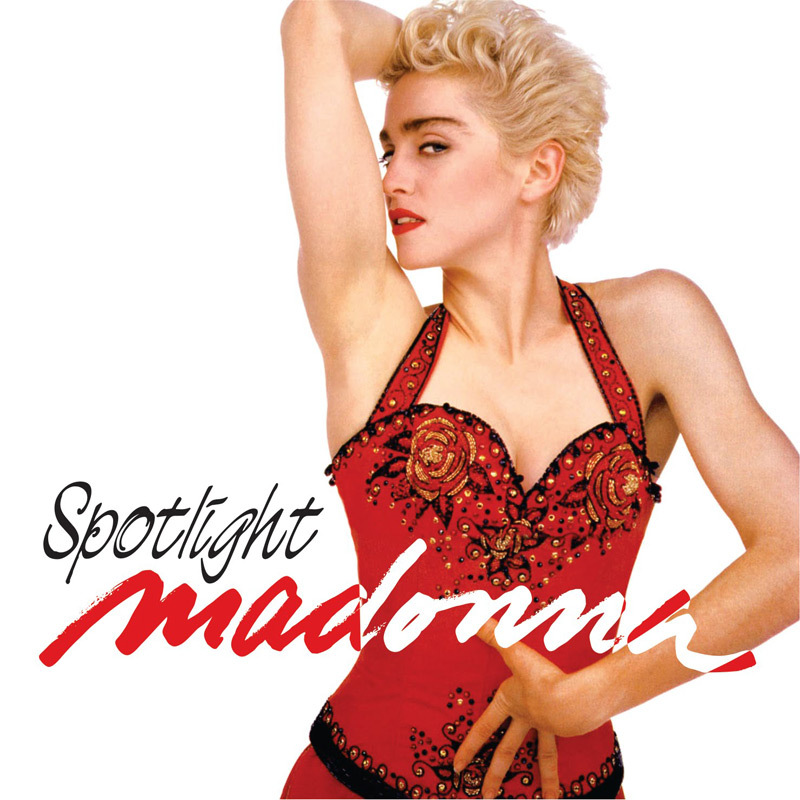 A leftover from the True Blue recording sessions, Spotlight was the only new song on the remix album You Can Dance. It was released as a single in Japan only on April 25, 1988 where it reached #3 in the international singles chart. However, it was played by radio stations in Europe and the US as well. The song was also used for a Mitsubishi VCR commercial. Notice the 'Everybody is a star' - inspired by the song of Sly and the Family Stone - a line that was used as the intro of Everybody on the Girlie Show. Spotlight itself was never performed live.